Love this! Of course it could have been a border collie! 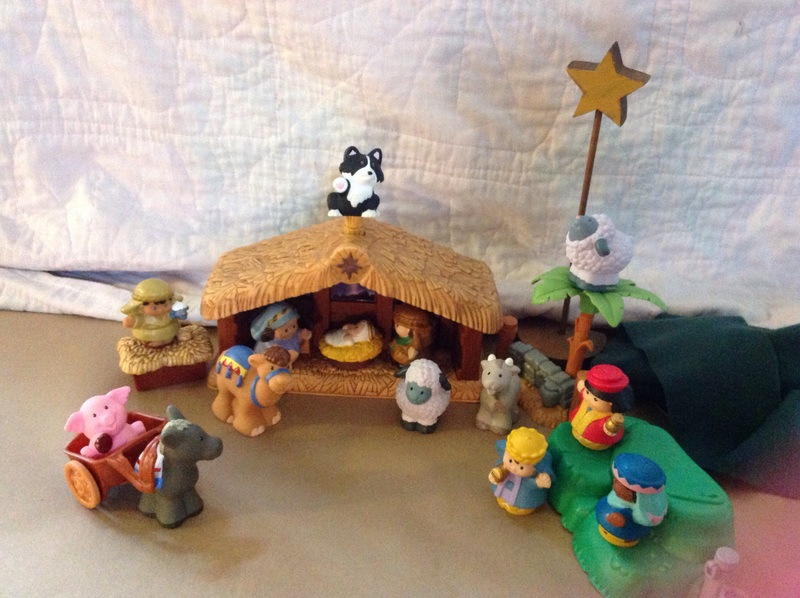 I’ve never thought about the piggy by the manger–definitely not kosher. But the picture of little Elinor working industriously to put this together as she sees it in her mind, hearing the beautiful story of our beautiful Savior, born in conditions not appropriate for a king, is priceless. Would that I could focus on truth as firmly and honestly as she does. Thanks for such a great picture, Deb. Once again, my friend, you really rock at this.